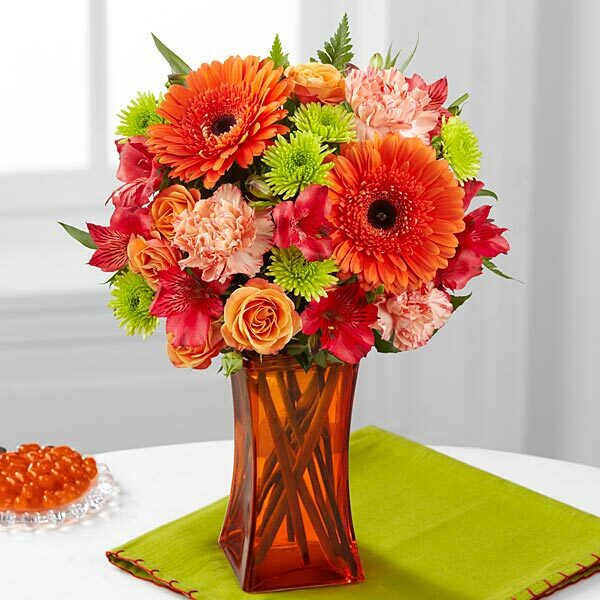 The FTD® Orange Escape comes straight from our fun, trendy and simply irresistible Color Confection Collection. 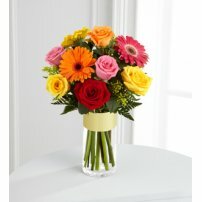 Full of bright color and perfectly posh styling. 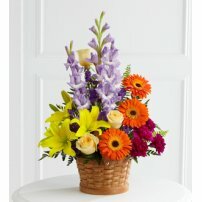 This mixed flower arrangement is set to send your warmest wishes to friends and family in honor of a birthday, as a thank you, or just to celebrate in style. 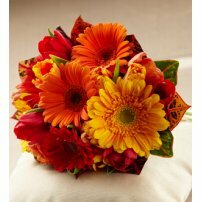 This stunning flower arrangement consists of orange roses, spray roses, carnations, gerbera daisies and Peruvian lilies. 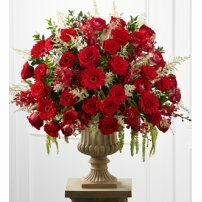 Presented in a glass vase. Regular approximately 16"H x 12"W.
Deluxe approximately 17"H x 13"W.
Premium approximately 18"H x 14"W.